"For most retailers and consumer brands the daily commute is the only time not accessible in a consumers' day," said Santiago Chamorro, GM's vice president for Connected Customer Experience, in an announcement. 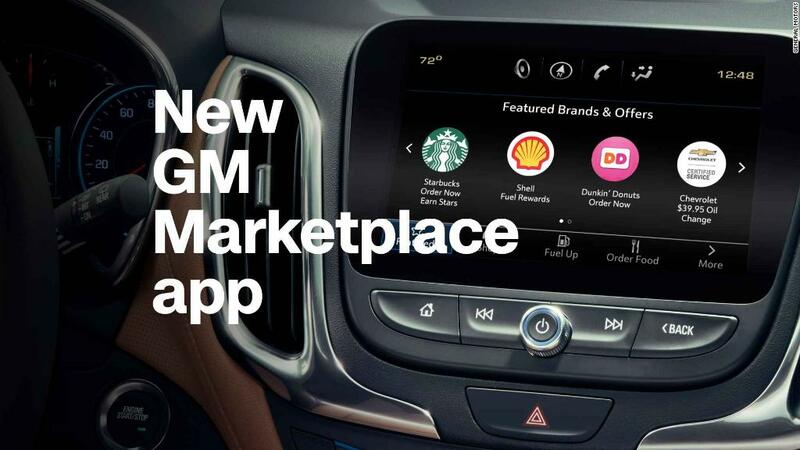 "Marketplace gives merchants the ability to more safely engage with drivers and passengers in a meaningful way that provides true value for our customers." The system relies on "machine learning," taking cues your location and from how you've used the Starbucks or Dunkin' Donuts apps on your phone to decide which menu items to offer. "It does seem distracting," he said. 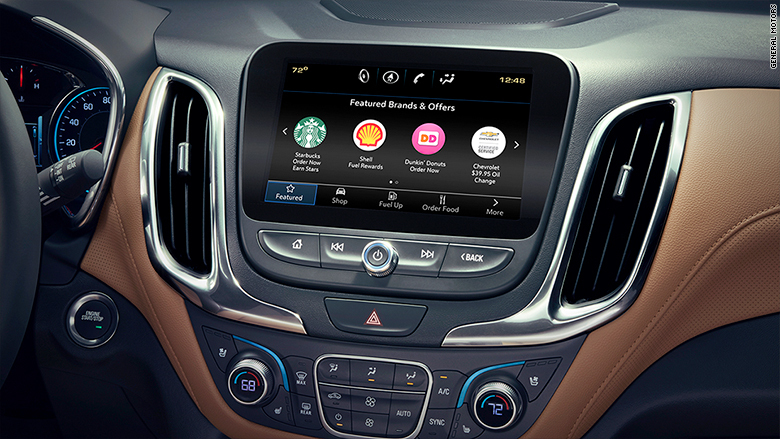 But he admitted that it might not be much more distracting than all the other interactive widgets cars already have. Many cars come equipped with music apps such as Pandora or reservation apps like OpenTable, both of which let drivers poke through digital lists. You won't have to purchase a data plan to use Marketplace, though. It will be available to everyone with a late model GM car that has the required hardware. Over the next 12 to 18 months, the service will be rolled out to a total of about 4 million GM vehicles on U.S. roads.